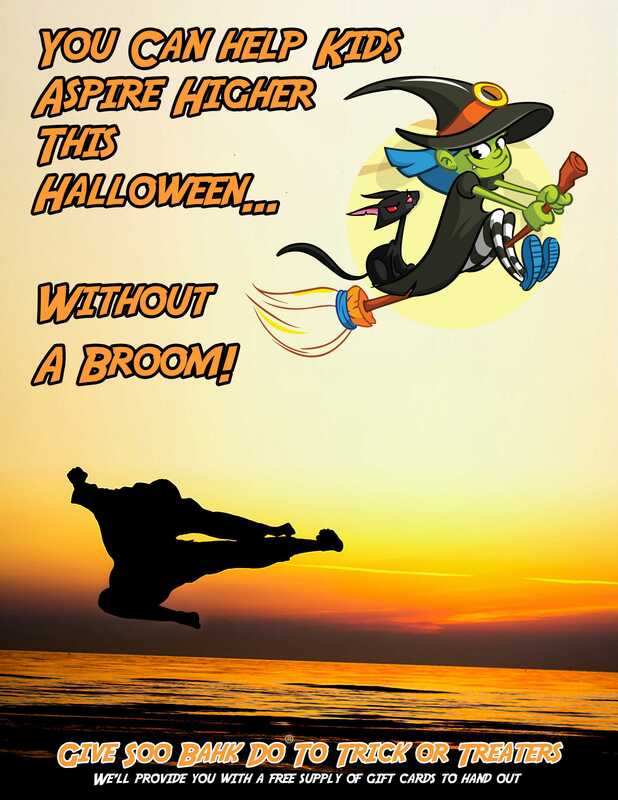 Help Kids Aspire Higher This Halloween Without A Broom. 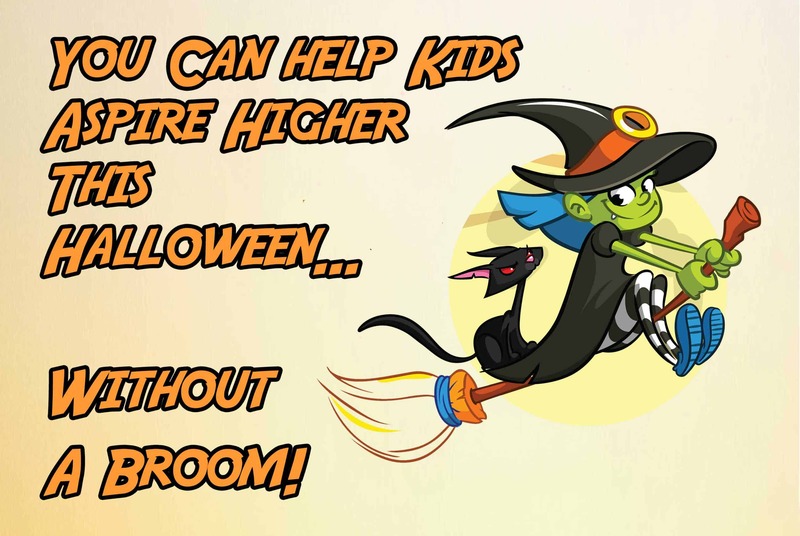 Now is the time to print up your gift cards, free passes, Halloween treats or whatever you want to call them and get them in the hands of all your students and parents with a request that they help distribute them to Trick or Treaters on Halloween night. Even if you don't have anything special printed for Halloween, AT LEAST give them a stack of your business cards. It's also a great time to announce your school's Halloween party, haunted house, sleep over, etc. Remember, any marketing beats no marketing every time! Download the PDF, print it out and hang it up at your school.